Supply chain managers know it’s important to have the right data in order to make the best, most informed decisions about their operations. To this end, the convergence of supply chain management and enterprise resource planning tools is critical for the continued success of enterprises in any industry. Data gathering and management solutions can help improve how companies respond to changing business requirements and customer needs. In a LinkedIn Pulse post, supply chain expert Mohanapriya Srinivasan noted that ERP plays a key role in SCM activities by supporting material, financial and information flow along the supply chain. When these activities are integrated, organizations create better supply chain value as well as improve trust and collaboration among suppliers and business partners. This means that in order to take advantage of these benefits, organizations need to develop a strategy that will bring together the best parts of on-premises systems and cloud-based tools. Cloud integration has several key benefits for supply chain management activities. In today’s era where the cloud is becoming more of a game-changer within organizations from every industry, it’s critical for supply chain operators to determine what the advantages would be of developing and deploying a cloud-based strategy. 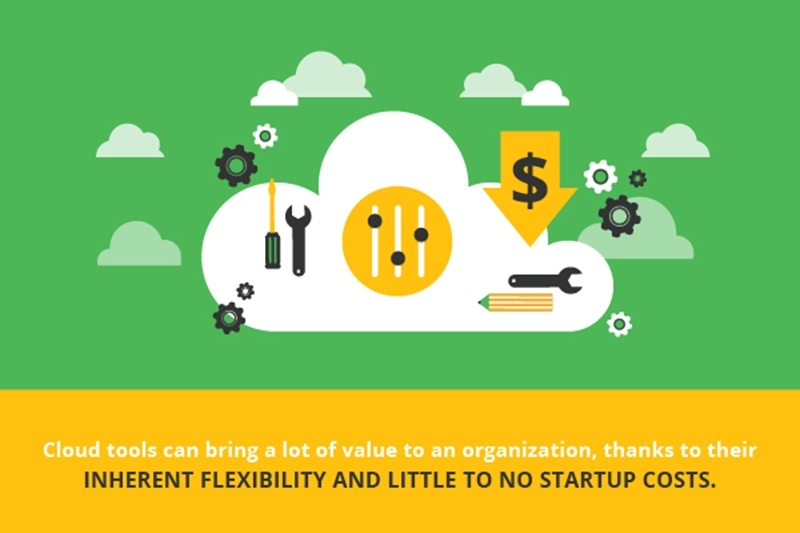 Cloud tools can bring a lot of value to an organization, thanks to its inherent flexibility and little-to-no startup costs. Enterprises looking to save money while at the same time increasing transparency and visibility across the entire supply chain are finding cloud computing to be beneficial. The market for cloud-based ERP technologies is growing as more organizations learn how to integrate these tools with their existing IT environments. In fact, according to MarketsandMarkets, by 2021, the cloud ERP market will be worth $29.84 billion, after growing at a compound annual rate of 10 percent beginning in 2016. This growth is being driven by the need for better flexibility and business process transparency – with the cloud, data can be accessed from across the enterprise. The final tip for improving supply chain operations through ERP integration is to ensure you’re partnering with the right vendor for all of your cloud ERP needs. When it comes to combining current ERP systems with virtual technologies, you have to make sure you’re taking the proper precautions and performing steps in order. Inspirage’s iHub Cloud Service is in its fourth generation and is comprised of pre-built integrations, allowing rapid application integration deployments. This means that iHub supports multiple systems and can help your organization integrate cloud and on-premises ERP tools without having to worry about changing business requirements – we can help you deploy a truly flexible solution that evolves and scales to handle growing data needs. For more information, please check out our iHub data sheet and get in touch with the experts at Inspirage today. Keith Rust is the Solutions Manager in the Innovation Management practice at Inspirage. Keith has over 15 years of functional and technical Agile PLM experience, specializing in Product Collaboration, Product Quality Management, and the Agile Integration Framework. Keith has helped over 125 companies with various aspects of Agile implementations in medical device, semiconductor, hi-tech, pharmaceutical, aerospace, automotive, solar and telecommunications industries. He is also a regular contributor to various Agile PLM user groups.